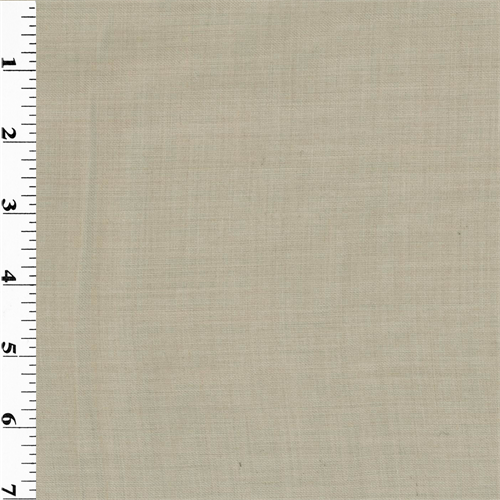 Faded beige wool blend gabardine twill with ashy brown undertones. Light weight, very soft to the touch, airy, and drapable. Suitable for summertime suits, blouses, and dresses.